I really like this shot and shows what can be done with my crappy little mobile phone camera. It’s not worked out too badly and the sunset colours just weren’t in the raw mobile picture, it was all dark blues. A quick bit of Picknik work and it’s come out wonderfully well. I wish I’d taken my Nikon up there though. Lesson for tonight if the heavy snow lays off. 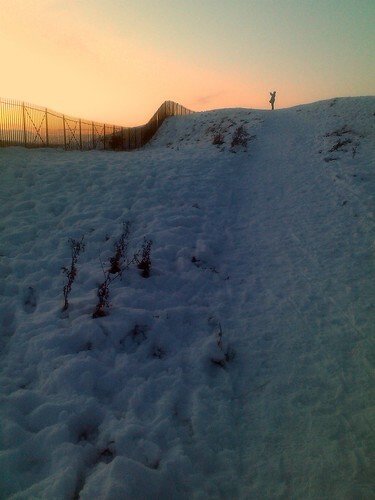 Sunset atop Craiglockhart hill, originally uploaded by Filmstalker.